How to get rid of a Runny Nose Fast: A runny nose is a very common and irritating health problem. It mainly occurs because of common because of the common cold. 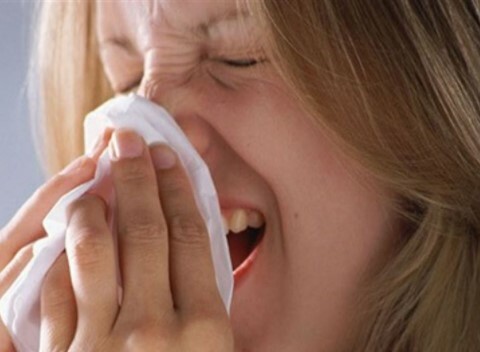 But in some cases, you may have a runny nose because of, sinus infection, allergies, high fever etc. Millions of people around the world suffer from a runny nose every year. There are many over the counter medicines available for a runny nose. These over the counter medicine can make you drowsy. These normal cold medicines contain acetaminophen which is normally used for pain relief and it is too much for a common cold. Alternatively, you can stop a runny nose at home with natural remedies. A runny nose is also known as rhinorrhea in medical term. This problem normally occurs because of an excessive amount of mucus in the nasal passage which drops down from nostril or in your throat. For instant relief from a runny nose use home remedies. A runny nose is swollen or inflammation of nasal passage tissue. This problem can occur because of many factors such as a common cold, allergies, influenza, respiratory syncytial virus (RSV), and sinus infection. The other factors which can cause a stuffy nose or a runny nose are a sudden change in climate, exposure to smoke, change in hormone, dust, and certain medication. A stuffy or a runny nose can also occur because of nasal passage tumor or some medical condition but that is very rare. A runny nose is a very annoying problem. It is not a serious problem but can make your life miserable. There are many over the counter medicine available for a runny nose but they come with side effects and expensive as well. You can get rid of a runny nose with the help of natural home remedies which is very simple, effective and less expensive. Steam is a very effective method to get rid of stuffy and a runny nose. It also helps to stop sneezing and remove excess mucus. This natural home remedy is also very effective in curing a common cold. Take a big bowl and pour boiling water in it. Now cover your head with a towel and place your head just above the bowl so that you can inhale the steam. To make steam more effective you can add eucalyptus oil or peppermint oil in hot water. Salt water is an ancient and effective home remedy to get rid of a runny nose. It helps to thin mucus and make it easy to throw out from the nasal passage. It will also prevent you from bacteria and nasal irritant. Take 2 cups of warm water and mix a half tablespoon of salt in it. Now with the help of dropper pour few drops of salt water in your both nostril. Then blow your nose heavily so that excessive mucus can also come out. You try this remedy 2-3 times in a day until you get relief from a runny nose. This natural herb contains antifungal, antibiotic and antibacterial properties which help to cure a runny nose fast. Take 3-4 leaves of basil and chew them twice in a day. 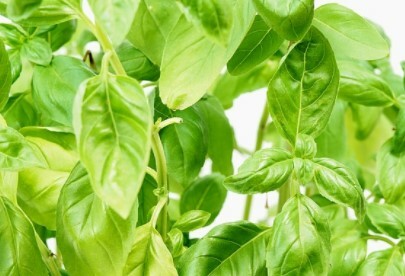 Best time to chew basil leaves is early morning empty stomach and before going to bed. You can mix jaggery with basil leaves if you don’t like the taste. 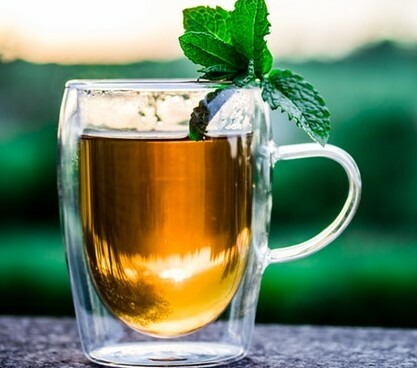 You can prepare herbal tea by boiling 10 leaves of basil and 5 cloves in water for 10 minutes. Let it cool down so that you can drink it without burning your mouth or tongue. Drink this natural remedy twice in a day until you get relief from a runny nose. 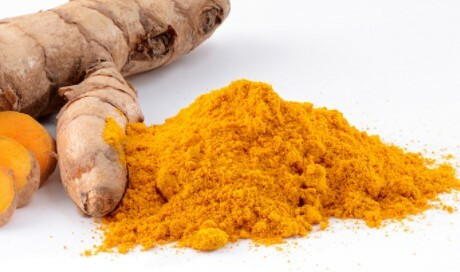 Turmeric is widely used as a natural ingredient for home remedies. It also helps to get rid of a runny nose due to its antibacterial, antibiotic, anti-inflammatory, antiviral properties. Take 1 teaspoon of turmeric, ½ teaspoon powder of cinnamon, 1 teaspoon of grated ginger and 2 teaspoons of honey. Mix all the natural ingredient well in 2 cups of water. Now boil this mixture for 10 minutes. Then strain this mixture and let it cool down. Drink this home remedy twice in a day. Take 2 glasses of milk and add 1 teaspoon turmeric and 2-3 pinch black pepper powder. Boil this mixture for 5 minutes. Let this mixture cool down then add 2 teaspoons of honey. Consume this remedy twice in a day. Take one tablespoon of ground turmeric and soak in a cup on linseed oil. Now heat the mixture until it starts smoking. Then inhale the smoke, while inhaling the smoke bloke one nostril and smoke with others. Do this remedy two times in a day for quick relief from a runny nose. Garlic contains antiviral, antibacterial and antifungal properties which help to cure a runny nose and its symptoms. It helps to remove harmful bacteria and stop a runny nose and sneezing. 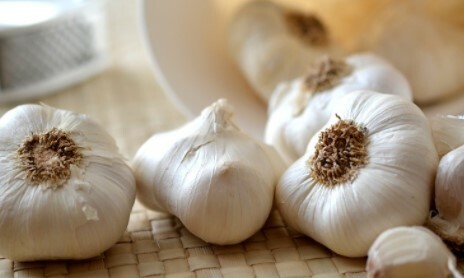 You can chew 2-3 cloves of garlic three times in a day. Take 5-6 cloves of garlic and boil in cup water for 3-4 minutes. Then strain the mixture drink two times in a day. You can add sugar in this remedy if you don’t like the taste. 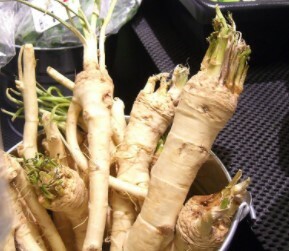 Horseradish has mucolytic properties which help to remove mucus and cure sinus infection. Take 1 teaspoon of grated horseradish and keep it in your mouth until it becomes tasteless. Now you can swallow it. Then remove your mucus from throat and nose by blowing your nose. Do this remedy 2-3 times in a day for fast relief. One of the best remedy to cure your respiratory problems due to its antioxidant, antimicrobial, and anti-inflammatory properties. 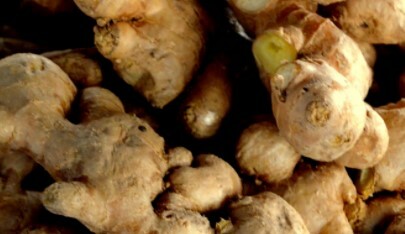 Take one cup of hot water and add 2-3 small pieces of ginger. Leave ginger pieces in hot water for 10 minutes. 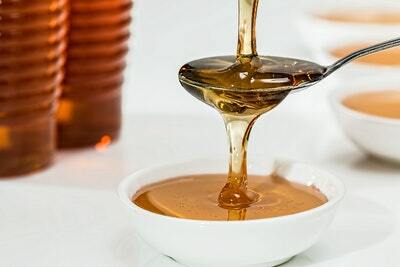 Then add one tablespoon of honey and drink this remedy twice in a day. 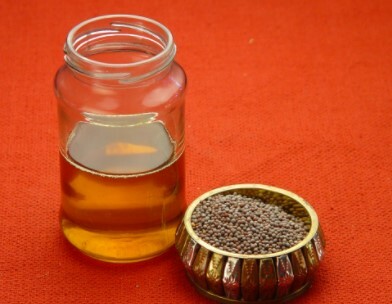 Mustard oil is mainly used for cooking but due to antimicrobial and antiviral properties, it can be used as an effective remedy for a runny nose. Take 2-3 teaspoon of mustard oil and warm it a bit. Now pour 1 or 2 drops of mustard oil in one nostril. You can use a dropper to drops the oil in the nostril. Throw out mucus after 2 minutes. Use this remedy 2-3 times in a day. Take one teaspoon caraway seeds and one 3 teaspoons of mustard oil. Mix them well and boil in a big bowl of water. Now cover your head with a towel and inhale the steam. It will help clear out your nose. Honey has antioxidant properties and also improve your immunity system which helps to fight with infection. Take one glass of warm milk and add 2 teaspoons of honey to it. Drink this before going to sleep daily to get rid of a runny nose fast. You can also prepare a mixture of a pinch of cinnamon powder, and ½ teaspoon of lemon juice and one teaspoon of honey. Take this remedy twice in a day until you get relief from a runny nose. Drinking herbal is a good way to fight with a respiratory infection. Prepare a cup of the herbal team by boiling garlic, ginger, lemon juice, onion and honey in a cup of water for 5 minutes. Drink this remedy twice in a day for a week. Ayurvedic is one of the oldest methods of treatment health problem. In Ayurveda medicine are made by natural herbs which considerably less expensive and free from side effects. You can also prepare a few ayurvedic Home remedies for a runny nose at home with the help of natural herbs. Brinjal– Take 10-15 seeds of brinjal and crushed them into a fine powder. As this will cause nasal secretion to provide relief from a runny nose. Do not use this herb on children. Haridrakhanda– This a very effective and most prescribed medicine in Ayurveda for a runny nose or common cold. Consume one teaspoon Haridrakhanda 4 times in a day with warm milk or water. Shadabindu taila– This ayurvedic medicine is used as inhaler which helps to clear out mucus and stop sneezing. How Long Can a Runny Nose Last? How long a runny nose can last is depend on the causes and can vary from one person to another. The symptoms of a runny nose can start from 1 to 3 days. 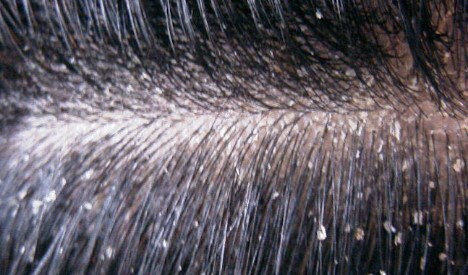 It can take 5 -10 day to cure properly. Take proper precaution and natural remedies for speedy recovery. If you are suffering from a respiratory infection or a runny nose then stay away from your pets. Drink tomato or chicken soup if you start developing symptoms of a runny nose. If you are allergic to something then stay from that. Take a hot bath for faster recovery. Do not eat spicy and oily food. A runny nose is very common health condition which can occur because of viral infection, flu, change in climate, common cold, or allergies etc. there are many over the counter medicines available for a runny nose cure but they can be harmful. It is not good to take heavy medicine for a problem like the common cold. You can effectively stop a runny nose with natural home remedies. Leave your comment and suggestion in the comment box.